The introduction of connected cars and the insurance changes that go along with them can get complicated. Big data has helped make things easier. As we all know, the entire automotive industry is continually focusing on connectivity and in-vehicle technologies, so it’s only a matter of time before the driver-specific benefits start expanding on a daily basis. While the concept of connected cars was initially pitched way back in 1996, the idea has evolved into a buzzword with the entire tech industry swearing by its underling ideologies. 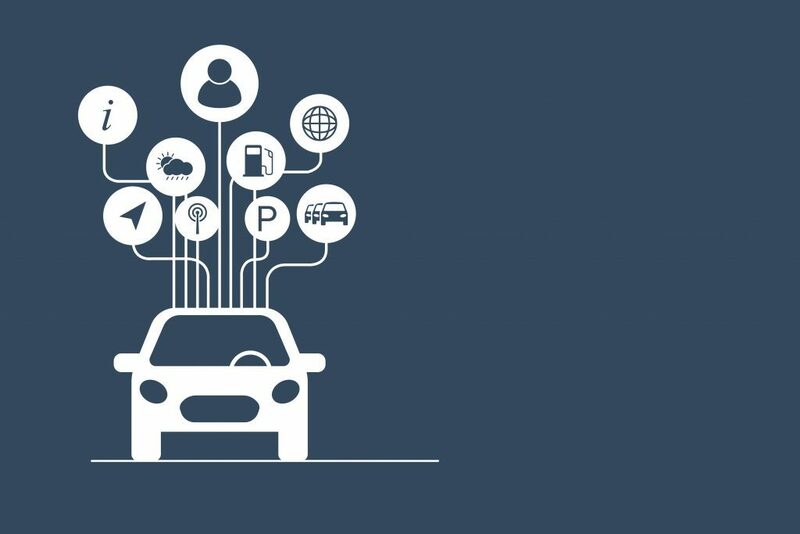 At present, the existing idea of connected cars and insurance is further bolstered by predictive analytics, IoT, cloud computing, and even big data, with each playing a pivotal role when it comes to offering myriad benefits to the individuals behind the wheel. What does a connected car offer? A connected vehicle allows passengers to interact with the machine continually by facilitating access via social applications, smartphones, and a host of navigation systems. These advancements are aimed at improving the in-vehicle experience while offering a broader digital arena for drivers to work with. An improved experience for the person behind the wheel is probably the most expected perk of the connected car technology. When it comes to understanding the post-infotainment period for the connected car, it’s all about connecting smart devices with location-specific applications. This way, the car would act as a virtual assistant by identifying the driver location. Proactive route calculations and content selection according to driver preferences are some of the other benefits on offer. With drivers being able to communicate better with their vehicles, the concept of AI integration and voice-specific controlling commands are duly validated. If a car boasts of technological supremacy, it must be able to offer regular software updates and a higher network bandwidth to the commuters. Connected cars, therefore, solve multiple discrepancies by helping car owners get access to timely software recalls and updates. Moreover, these supposed vehicle maintenance tasks can be easily initiated over a wireless network that offers optimal coverage. One such example would be the Tesla, with the vehicles getting an automated OTA update from the manufacturer way back in 2014 for carefully administrating the presumed fire hazards. By 2020, we can expect a lot more of these OTA-driven vehicles hitting the roads. It is only a matter of time before we leverage the connected car concept for successfully embracing the usage-based vehicle insurance schemes. Many insurance carriers deploy the acquired customer driving patterns and put forth insurance premium rates accordingly. The likes of premium discounts emanating out of driving behavior, mileage, and other metrics are slowly becoming realities in this highly innovative arena. There are a host of other evaluating models like PAYD, PHYD and MHYD; which are postulated as different versions of the Usage Based Insurance plan. Each one of these models target a specific driving metric; thereby offering insurance premium rates by analyzing the quality of the concerned driver. With premiums directly related to the driving performance, the connected cars can blur the lines between vehicle usage and customer privacy as anything and everything inside the vehicle can be tracked, rather seamlessly. The popularity of connected cars has fittingly refurbished the existing transportation models with big names delving into this space. The entire ridesharing space has now been remodeled with connected vehicles making their presence felt. Drivers are certainly at ease with their vehicles and the entire business model has massively evolved for incorporating newer strategies. Automobile manufacturers are certainly upbeat for the Secured By Design (SBD) layout that put forth by the underlining concept of connected cars. SBD is expected to feature in most of the vehicles by the end of 2020 and vehicle insurers are trying their best to adjust to these ramifications. With the applications growing in large numbers, a relatively stronger ecosystem is being created around the connected cars. The participants include sensor manufacturers, telecommunication firms, insurance companies, and even the automakers; with each one connected to the other by the threads of Big Data. That said, Big Data is more of an all-encompassing sphere, and the existing analytical capabilities make use of traditional data sets for analyzing the driver behavior and other associated metrics. This innovation, therefore, helps car manufacturers expand the data pool while digitizing user interfaces and making the use of the online domain. When it comes to deciphering the domain of car insurance, Big Data plays a pivotal role. With the tracking devices present within the vehicles, it now becomes easier for the companies to validate the claim settlement processes in the best possible manner. Big Data eventually impacts aspects of car insurance; including the likes of customer interaction, analytics, and network service management. Moreover, this technology comes in handy for insurers, as they can now use efficient analytical tools and customer interfaces while enlarging the existing data pools. In addition to that, customer interactions are also digitized to a larger extent and it becomes easier to build up the know-how capabilities. Connected cars have become industrial realities, and the continual introduction of newer applications is simplifying things for customers. Big Data, however, holds its place as it offers a lot of insights regarding the nature of mishaps concerning the vehicle. Once the force of the accident, faulty parties, and other aspects are determined, it becomes easier for the insurers to carefully supervise the entire claim settlement process. Connected cars are paving the way for an innovative future.